Daniella Hunter's recipes, products and restaurants, are dedicated to digestive well-being and provide a philosophy for sustainable living, both personally and for our planet. We are committed to producing only super-clean grain, gluten, dairy and refined sugar-free snacks at an affordable price. Our products are vegan & paleo. From a soft-sand paradise of the Caribbean in Tulum, to bustling Los Angeles, we are creating naturally inspired spaces for our delicious and nutritious offerings. 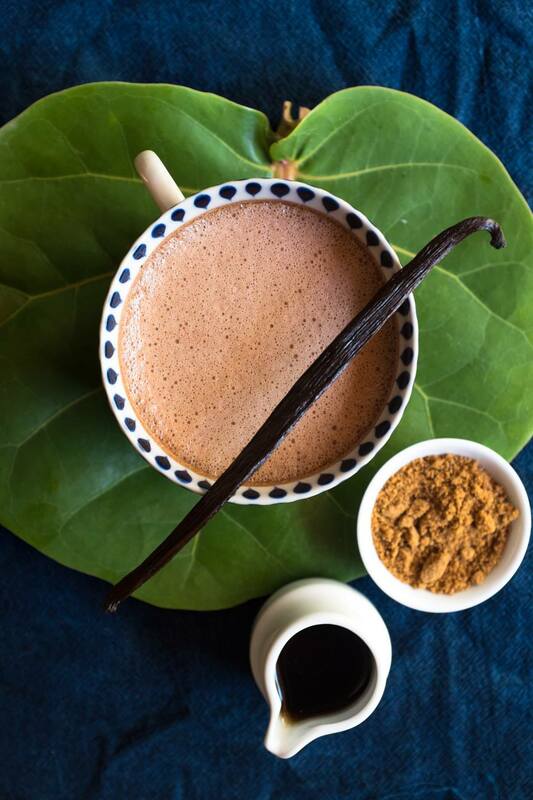 Join us over on our blog where Daniella Hunter and The Real Coconut team share their recipes, healthy living hints & tips and digestive-health nutritional advice. 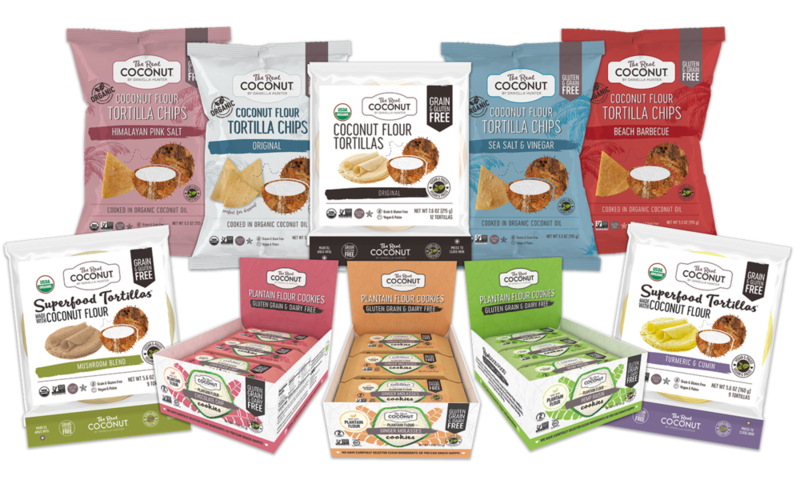 Our Grain, Gluten and Dairy Free Coconut Flour Tortilla Chips, Tortillas, Wraps and Plantain Flour Cookies are available across the USA & UK in over 1800 food stores. You can also buy our products on our online shop! Birthed at the original 'Real Coconut' restaurant in Tulum, Mexico, Daniella Hunter and her team creates super-clean products. Her coconut flour tortilla chips, tortilla wraps and plantain flour cookies are grain, gluten and dairy free with no nasties! Sanará meaning - ‘you will heal’ in Spanish, sits on the backdrop of one of the world’s most stunning beaches, looking out onto the turquoise waters of the Caribbean. 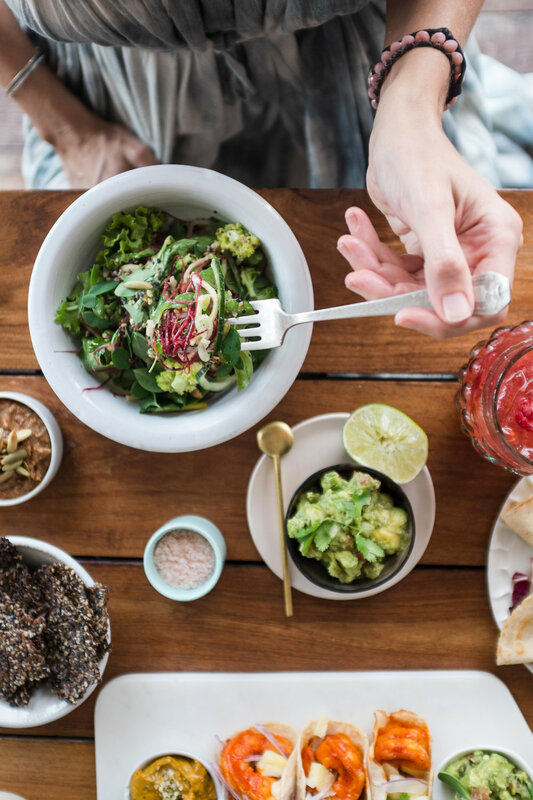 Visit the original Real Coconut at Sanará Tulum, to experience our menus and recipes, using sustainable food sources to promote digestive well-being. Daniella's menus are GLUTEN, GRAIN, DAIRY, and REFINED SUGAR FREE. Everything is homemade from scratch and wherever possible, organic and locally-sourced. We only cook with organic extra virgin coconut and avocado oil. TRC @ Sanará Tulum - kitchen & bar open from 7:30am till 10pm everyday. Daniella Hunter is an authentic manifestation of her own individual tastes and health philosophy and The Real Coconut is an aesthetic of Daniella herself. Having followed her own journey towards healing from severe asthma as a child, and a lifetime of poor health, Daniella delved into many different diet and cleanse programs to seek answers for a vital life, both for herself, and to share with others. Left a little less than satisfied, she formulated her own philosophy of digestive health and sustainability, both personally and for the planet. And so The Real Coconut, and it's plant-based recipe creation, was birthed. Daniella lives between Tulum, Mexico and Santa Monica, California with her husband, Charlie, two sons and dogs. She is a co-curator of Influence Foundation, committed to activate global sustainability initiatives, and she has also taken on the role of co-director of the Belize Sustainable Development Corporation, helping guide the boutique farmers in multi cropping practices. She dedicates her free time to wildlife rehabilitation, and as a Co-Founder and Governor of the Tulum International School, providing a passion and inquiry-based curriculum to children in Tulum.